strata council, co-op or homeowners association. 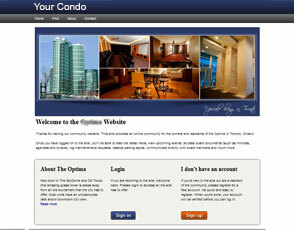 A condo website can help improve communication between owners, residents, council members and property managers. What does a condo website cost? 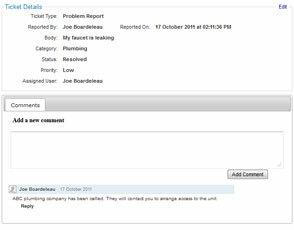 We are always working to improve eStrata, and we release new features regularly. If you have a specific need that our service doesn't address, give us a call or email us any time. We'd love to hear your ideas. With eStrata, your important documents will be stored in a secure, online central location. Documents are sorted into folders and are easy to find. Privacy controls allow you to limit access of confidential information to appropriate individuals. 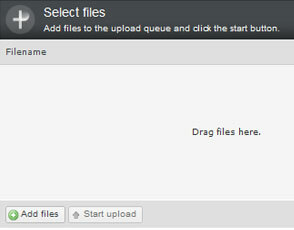 At eStrata, we use Amazon Web Services for your document storage needs. Amazon's technology is trusted by many of the largest companies around the world. They have strict privacy policies and provide us with reliable service. When you become an eStrata customer, we'll build a website for your condo, strata, co-op, or homeowner association. We'll customize the site to meet your specific needs and then hand over the reigns. You don't need to be computer-savvy to look after an eStrata site. 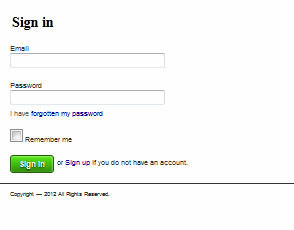 The interface is user-friendly and easy to learn, but if you do run into any problems, we're only a phone call away. Does your complex have a guest suite, elevator or recreational room that owners can reserve? 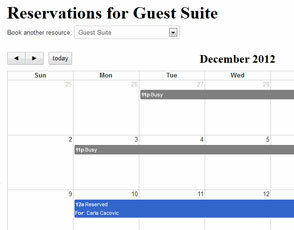 With eStratra's facility booking calendar, an administrator or resident (depending how your site is configured) can reserve blocks of time in any of your shared facilities. 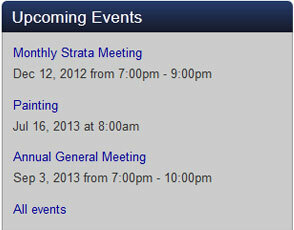 With eStrata's Events Module, you can create public and private events to share important details about upcoming events with the residents of your building. 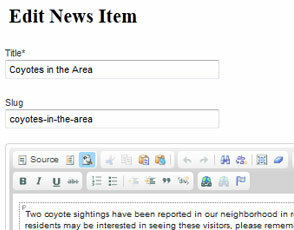 Publish news and articles to keep residents informed about what's going on. Adding new content to your site is easy and can be done by someone with basic computer skills. 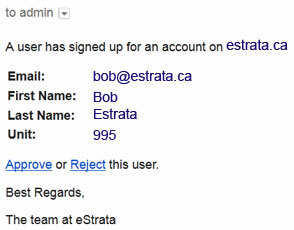 We've made a conscious effort to keep eStrata simple to learn and easy to use. We built it with regular homeowners in mind. If you can use a word processor or an email program and know how to attach files or pictures to an email, you'll be able to use eStrata. The issue tracking module allows residents to request maintenance, log complaints, and submit messages to the condo board or property manager. 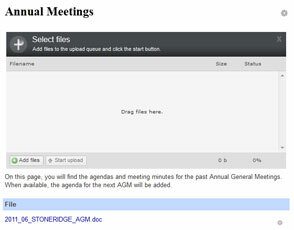 All messages, issue resolutions and comments are stored, archived and backed up securely. Automatic notifications are sent to registered users when important documents are posted and when issues are logged or maintenance requests are posted. We pride ourselves on the level of support we offer to our customers. 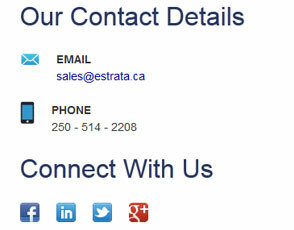 If you have questions or need help with your eStrata site, we’re never more than an email or phone call away.